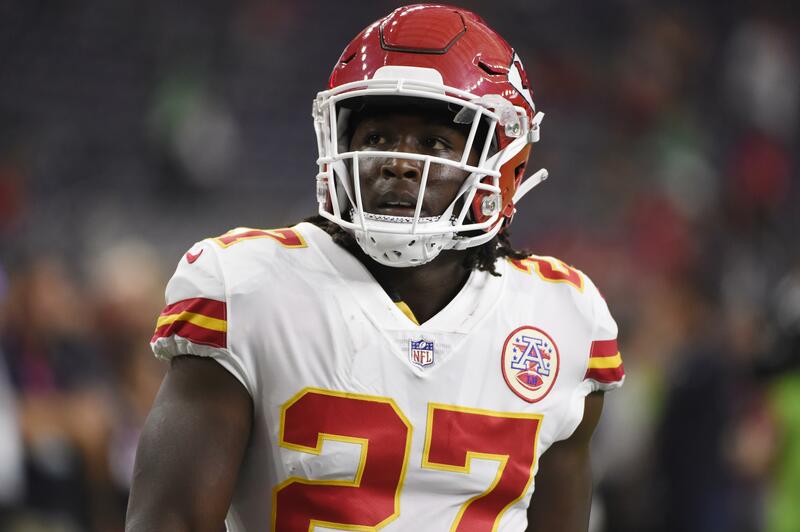 UPDATED: Tue., Dec. 4, 2018, 8:56 a.m.
Kareem Hunt is the latest example of the NFL’s delayed and inconsistent approach toward serious matters despite league efforts to improve following its mishandling of Ray Rice’s domestic violence case in 2014. Hunt, the former Kansas City running back, was placed on the commissioner’s exempt list Friday after TMZ released a video showing him pushing and kicking a woman during a February scuffle at a Cleveland hotel. The video’s jolt across the sports world accelerated a case that had been, in effect, put on the backburner for both the club and the league, with Hunt losing his job the same day – a steep fall for an elite playmaker for one of the most explosive offenses in football. The Chiefs said Hunt had lied to them about the scuffle, an assertion Hunt acknowledged in an interview with ESPN on Sunday. But authorities never charged Hunt with a crime and the league’s internal investigation – under guidance implemented after the lengthy legal saga involving the former Ravens running back Rice – stalled when NFL officials couldn’t get in touch with the woman. NFL officials say they tried several times to get video of the confrontation but couldn’t because the hotel said its corporate policy only allowed footage to be given to law enforcement. And Cleveland police say they didn’t pursue the video because it wasn’t a felony case. Hunt cleared waivers on Monday and could sign with another team. He can’t play while he’s on the exempt list, but it’s up to Goodell and league officials to decide when to take him off when – or if – they see fit. Still, Kendricks was officially reinstated by the NFL on Monday and has been with Seattle the past two weeks. Seahawks coach Pete Carroll says team officials “don’t have any hesitation” about playing Kendricks against Minnesota next Monday night. He appealed the ruling and was allowed to play the first game of the season before the Carolina Panthers placed him on the exempt list. Hardy didn’t play the rest of the season but signed an incentive-laden, $13.1 million deal with the Cowboys and played 12 games in 2015 after serving a four-game suspension. He’s been out of the league the last three years, focusing on a mixed martial arts career with the UFC. Published: Dec. 4, 2018, 8:38 a.m. Updated: Dec. 4, 2018, 8:56 a.m.